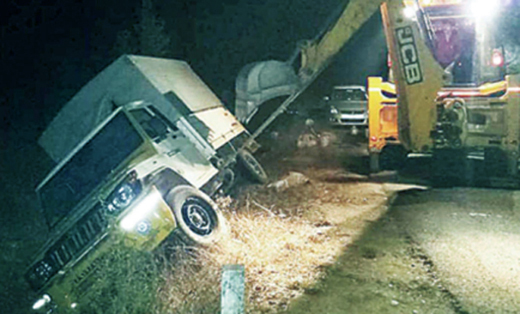 Kundapur, March 31, 2019: Kota Police have thwarted a cattle smgugling attempt near Kolekbail Junction on March 30, Saturday. Acting on a tip off, the police intercepted a Bolero pick-up and a motor bike near the Junction and found 11 cows inside. Of them, three calves were found dead as the animals were crammed in an inhuman manner inside the vehicles. Those in the vehicles however managed to escape. The cows were reportedly stolen ones as one of the cows had a tag for insurance purposes.